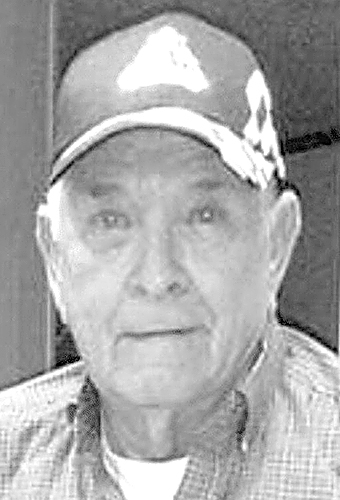 Jack W. Fairclough, 83, of Amsterdam, Ohio, passed away peacefully on Feb. 2, 2019. He was born in Amsterdam on March 11, 1935, to the late John and Mary Fairclough. For the majority of his life he was the owner of Jack’s Used Cars. He served as a longtime township trustee for both Springfield and Loudon Townships. Jack also drove bus for the Edison Local School District for 16 years. He met many people and established lifelong friendships. He enjoyed time with his family and watching and feeding the wildlife, especially the birds. Those who were lucky enough to know him will miss him dearly. In addition to his parents, he is preceded in death by his son, Duane; brother, Albert; sister, Ellen Lewis; and half-sister, Janie Hartman. Jack is survived by his loving wife, Charlotte “Casey” (Finn) Fairclough; children, Dale (Cindi) Fairclough, Jack (Dawn) Fairclough, Dan (Lynn) Fairclough, Sharon Wheeler, and Jackie (Michael) Hickey; 10 grandchildren; 14 great-grandchildren; half-sister, Cathie Jones; and many nieces and nephews. There are no calling hours and a private Celebration of Life will be held at a later date. Memorial donations may be made in Jack’s name to Community Hospice Truman House, 716 Commercial Avenue SW, New Philadelphia, OH 44663. Arrangements entrusted to the Mark R. Vrabel Funeral Home, North Canton, Ohio 330-452-4041.